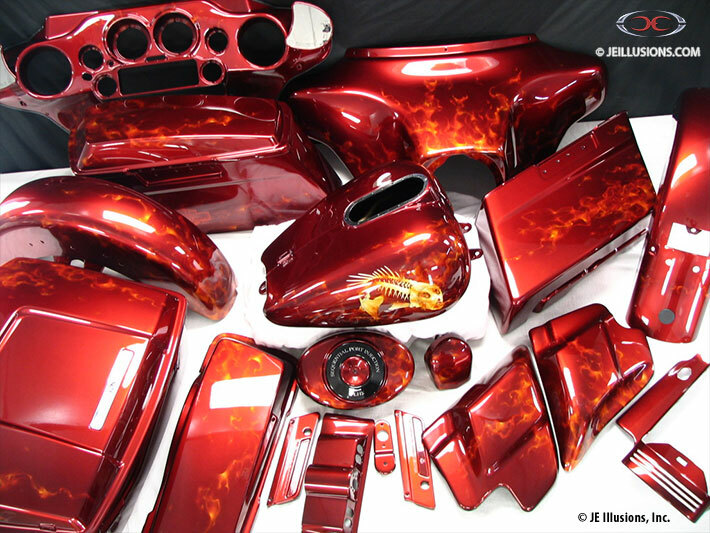 This paint set starts with a metallic sunset red base set with flowing realistic flames. 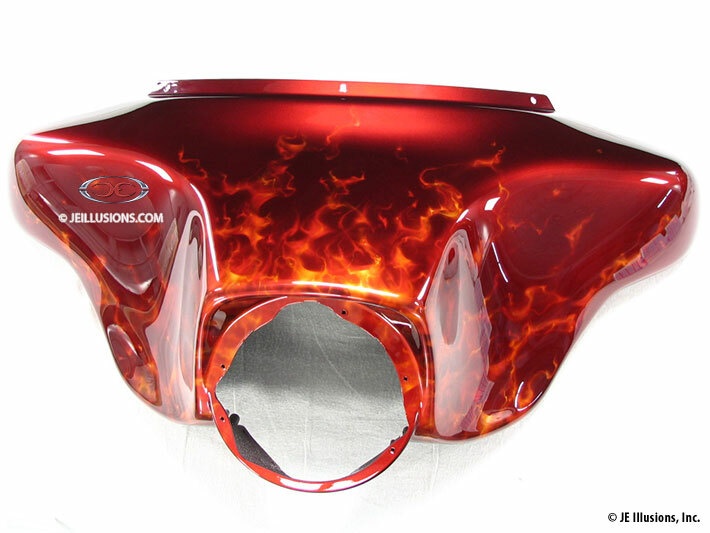 But what really gives this set its unique character is the evil bass. 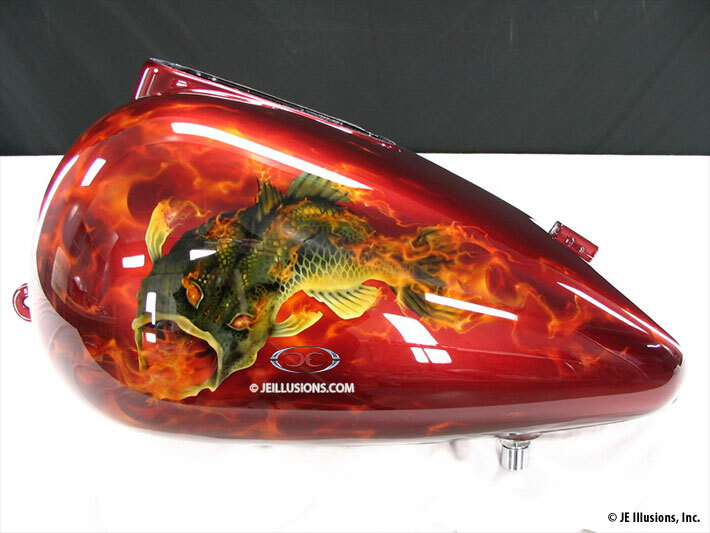 On one side of the tank, the bass is depicted in the flesh with demonic crazed eyes, swimming through fire, in vivid detail down to its individual scales. 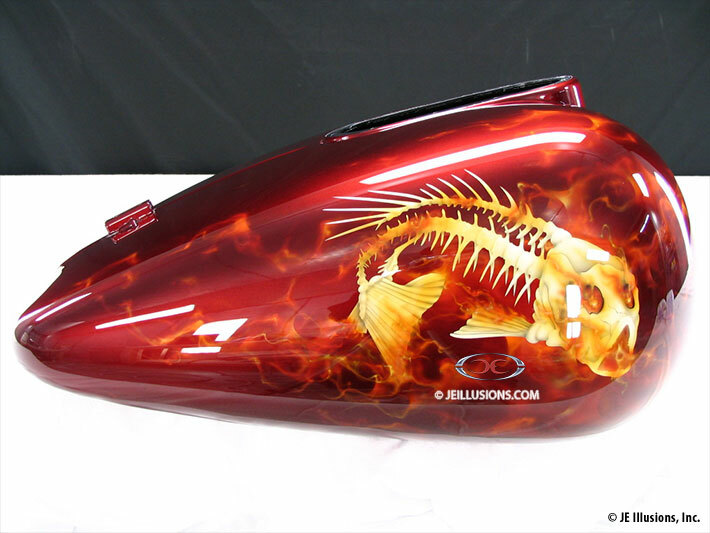 The bass is depicted again on the other side of the tank, but rather than being a standard mirror image, this bass is a skeletal terror from the ranks of the evil dead!